Out of these 3, who's funnier? Do আপনি think Gadget is pretty? Chip অথবা Dale, which one is your fave? Sequel to Meeting with Destiny As Chip and Gadget head toward their wedding, Fat Cat plans a লম্ফ that could spell the end of বড়দিন for the entire city! আরো coming, read and review! 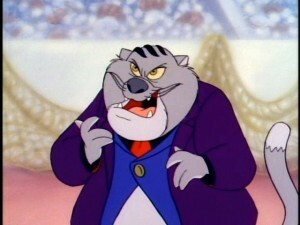 What is Fat Cat's name in the German version?